The Short Stay car park at Newcastle Airport provides convenience at its best - it is located directly opposite the terminal so once parked, you can walk to check-in. Being official Newcastle airport parking, the security is second to none; 24 hour patrols, entry and exit barriers to name just a few. The Newcastle Short Stay car park is directly opposite the terminal; the whole process of leaving your car is crisper than a north-eastern winter. All you need to do is park your car, keep your keys and make your way to the terminal - it's just a stroll away from check-in. And you can relax while you're away because the car park has CCTV, 24-hour security patrols, entry and exit barriers, fencing and floodlighting. Take a ticket at the entry barrier, which will lift to let you though and park in the Short Stay car park. Then, it's just a short walk over the road to the terminal. Make sure you keep your ticket somewhere safe, as you'll need it when you come back. Once you've got your bags, just walk back to the car park to pick up your car. Then, drive to the barrier, put your ticket in the machine and it'll let you out. If you have any problems, just press the help button on the machine to talk to a member of staff and give them your booking number. 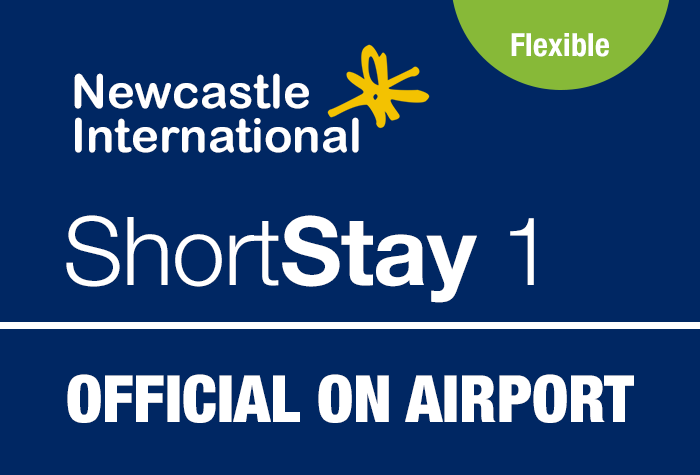 Please note from the 7th January 2019 Short Stay - Flexible will be changing its name to Short Stay 1 - Flexible. When you get there: Take a ticket at the entry barrier and park your car. All that's left for you to do is take a one-minute stroll to the terminal. Keep your ticket somewhere safe, as you'll need it when you come back. While you're gone: The car park has 24-hour CCTV, 24-hour security patrols, entry and exit barriers, fencing and floodlighting. It even has the Park Mark award. Car parks with this award are regularly inspected by the police to ensure they maintain modern security measures such as alarms and CCTV, and are clean and well-lit. When you're back: Walk back to the car park - it's a short stroll across the road. At the exit barrier, you'll need to insert your ticket and the barrier will raise and allow you to exit. If you have any problems, press the help button and quote your car park booking reference. Perfect ð. Taxi waiting for us at the airport when we arrived. Lovely drivers. Also taxi arrived on time to our hotel to take us back to airport. Great work, would recommend. 5 stars. Straig&t forward. Took ticket at barrier on arrival, put ticket into machine at barrier on departure. Couldn't be easier. Our customers rated Newcastle Short Stay Airport Parking on average 9/10 (756 reviews). Read Newcastle Short Stay Airport Parking reviews.